Possession of marijuana is illegal within the state of Tennessee. 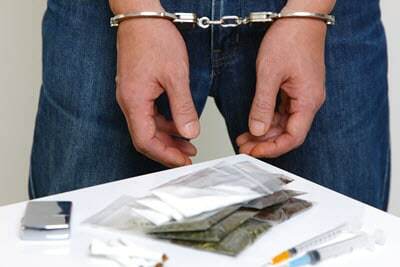 Though it is classified as a Schedule VI substance, the state takes possession charges seriously and imposes substantial penalties upon conviction. Many marijuana charges are written up as citations, but law enforcement in Seymour, Pigeon Forge, and Gatlinburg has discretion when arresting individuals for possession. If you have been arrested for marijuana possession in Tennessee, trust Delius & McKenzie, PLLC to be on your side. Our experienced Sevierville criminal defense attorneys can guide you through your marijuana possession charges and the court process, to get your charges dropped or reduced. The first offense is a misdemeanor punishable by up to a year in jail and a maximum fine of $250. The second offense is a misdemeanor punishable by up to a year in jail and a maximum fine of $500. The third or subsequent offenses are felonies punishable by one to six years in jail and a maximum fine of $1,000. An experienced Sevierville drug crimes attorney at our firm can help you understand your charges and help you fight against them. One to six years in prison and a maximum $5,000 fine for possession with the intent to sell half an ounce to 10 pounds of marijuana. Between two and 12 years in prison and a maximum $50,000 fine for possession with the intent to sell 10pounds to 70 pounds of marijuana. Between eight and 30 years in prison and a maximum $100,000 fine for possession with the intent to sell 70 pounds to 300 pounds of marijuana. Between 15 to 60 years in prison and a maximum of $200,000 fine for possession with intent to sell more than 300 pounds of marijuana. Potential penalties are even higher for subsequent convictions. If you have been arrested for possession of marijuana with the intent to sell, our attorneys can help you through the legal process. The state of Tennessee also criminalizes the possession of marijuana paraphernalia. These are devices used to ingest the marijuana. Some examples of paraphernalia include bongs, rolling papers, and roach clips. These items are not illegal to possess on their own. However, if law enforcement agents allege that there are traces of marijuana on any of these items, they may charge you with possession of paraphernalia. This misdemeanor is punishable by up to one year in jail and a maximum fine of $2,500. Second or subsequent offenses result in an increase of the fine. Our lawyers understand these charges, and we work closely with you to build a solid defense. There are many possible defenses for a marijuana charge. The best alternative depends on the specific details of your case and a Sevierville criminal defense lawyer can help you make that determination. For example, your attorney may question the validity of the search that resulted in the possession arrest. The court may determine that law enforcement did not have sufficient probable cause to institute a search, which would negate the admissibility of the marijuana into evidence. Actual or constructive possession is another possible tactic for defense. Often times, marijuana arrests result situations where there are multiple people present. For a conviction on this charge, the state must prove that you were in possession of the marijuana beyond a reasonable doubt. Your attorney may be able to create some question as to whether you were in possession of the substance. The difference between a possession charge and the more serious possession with intent to distribute charge can rely on convincing the court that the possessed marijuana was for personal use and that you had no intention to sell or distribute it. Of course, the higher the weight of the substance, the more difficult this strategy can become, but your Sevierville marijuana possession attorney can advise you about the best defense option for your case. When you are accused of marijuana possession, it is an accusation and not a conviction. At Delius & McKenzie, PLLC, we defend your rights when you stand accused of a crime. Please call 865-280-3686 or fill out our contact form to make an appointment. Our criminal defense attorneys are proud to protect clients in and around Sevierville, Gatlinburg, Seymour, Pigeon Forge, and throughout Tennessee.